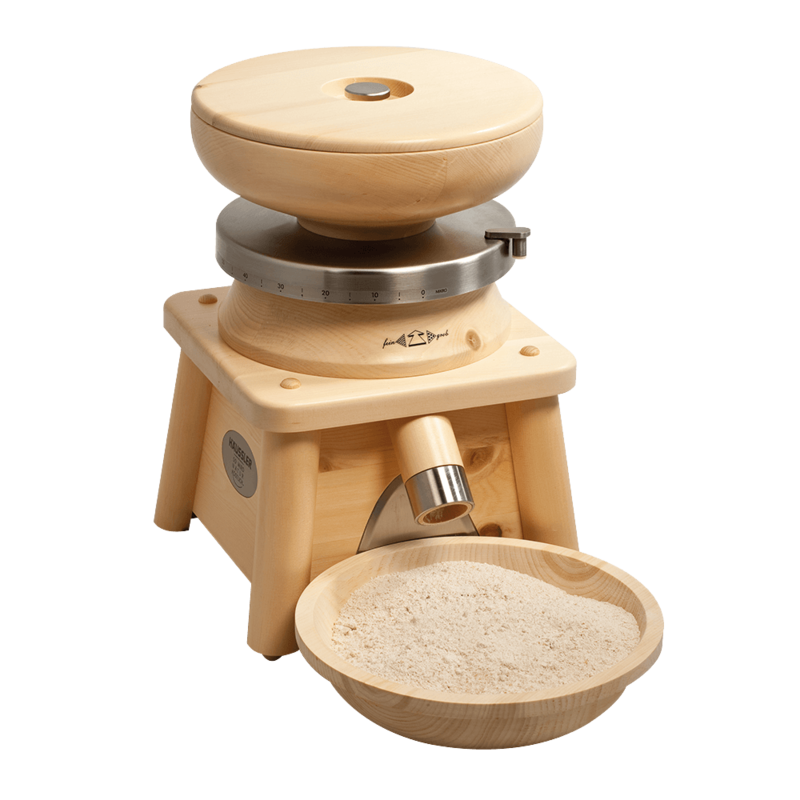 Erica is the classic grain mill built in the typical grain mill style. 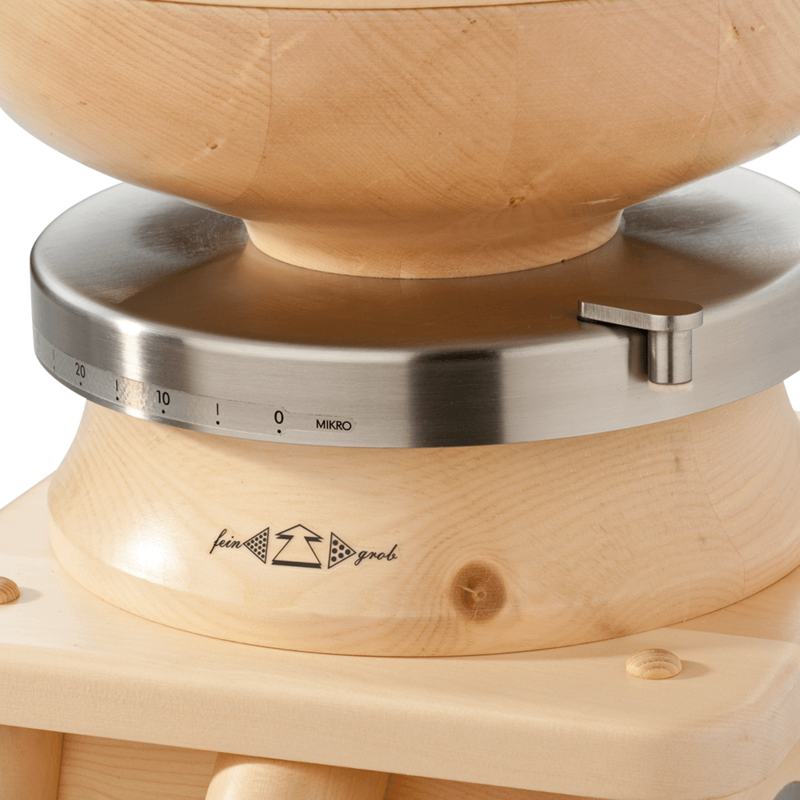 With its 10 cm millstone made of high-grade corundum, it grinds up to 10 kg of fine flour an hour. On coarser grain, e.g. for fresh corn müsli, it makes several times that amount. Our Erica is therefore the ideal mill for a medium-size to large family. Like all Häussler mills, Erica also has an excellent grinding fineness. Its housing made of stone pine not only creates atmosphere – it smells wonderfully like pine wood and has mite-resistant properties. The mill can be opened by simply turning the hopper, which also adjusts the fineness. An integrated child protection prevents the motor from starting when the grinding chamber is opened. 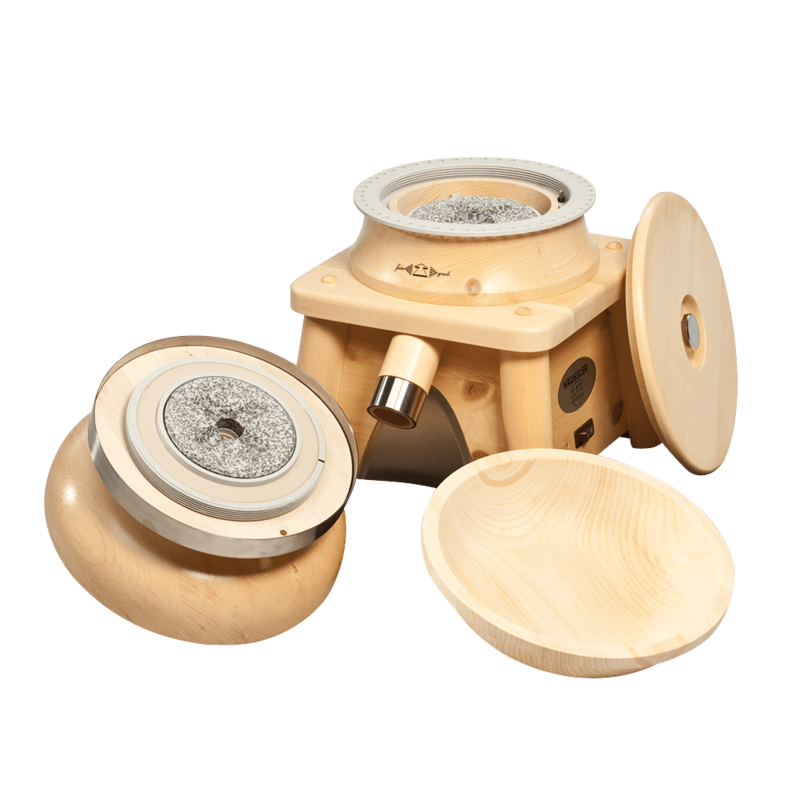 The stone pine bowl included in the delivery holds up to 1 kg flour and can be stored in the hopper.